Looking for the best street food in Jakarta to indulge your taste bud? 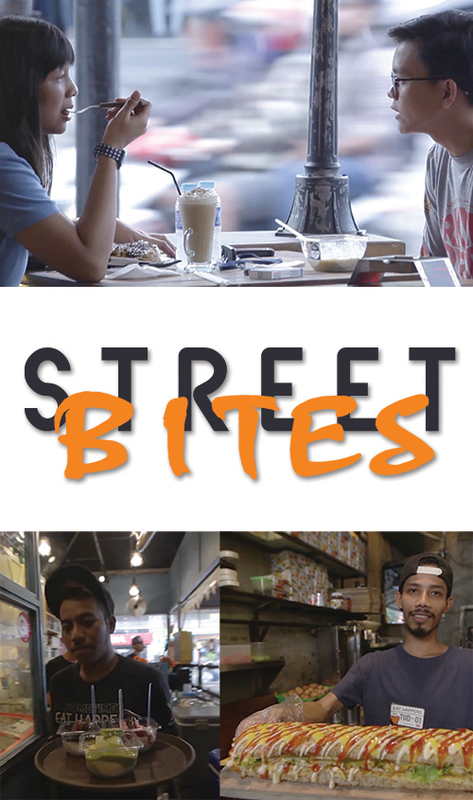 Street Bites has exactly all the info and visuals to satisfy your craving. Each episode will discuss fascinating, traditional street food and the unique dining experience. From small roadside restaurants, to food carts, you will get a taste of the famous Jakarta street food culture. We will explore 6 places on each episode with interviews with the chefs and the owners. In case you are wandering whether they are worth visiting, we throw in fun, honest testimonies from the customers, too.